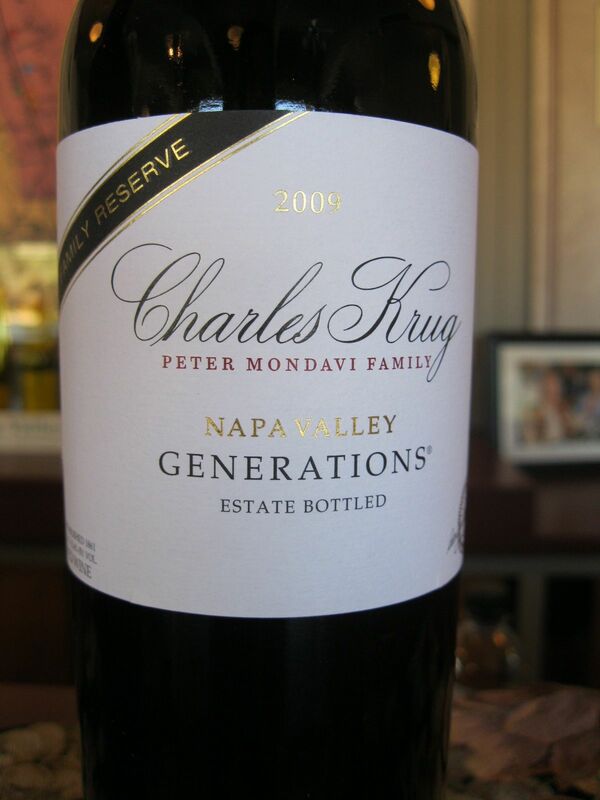 Last week Peter Mondavi of Charles Krug Winery turned 99, a venerable age for a remarkable man. 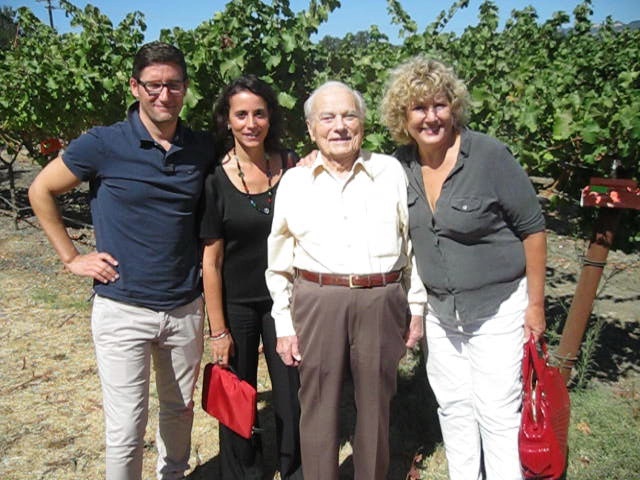 I had the good fortune to meet Mr. Mondavi last year in October together with Giacomo Pondini from the Consorzio di Tutela del Morellino di Scansano and Karen MacKenzie of the eponymous agency. The Wine Spectator wrote a niece article on Mr. Mondavi here. When we met, we spoke about his family coming over from Italy, his relationship to his brother Robert and what he saw as Robert’s mistakes, his method for staying young and his goals for the future. We also spoke a lot about his feelings about wines over 14% alcohol and how they were not really wines to savor. I was surprised to hear a producer from Napa say that but was very pleased. Hugh Johnson, noted wine authority and co-author of the World Atlas of Wine with Jancis Robinson also said the same in this great interview with Dave McIntrye. Mr. Mondavi still goes to the office everyday and credits his longevity to wine and staying involved. He was incredibly generous with his time and I am thrilled that I got the chance to meet him thanks to Karen Mackenzie’s efforts. Giacomo and I also tasted through a number of the wines with Mr. Mondavi. The one that I was most partial to that particular day in October 2012 was the Family Reserve Generations, the 2010 Vintage. I liked the wine itself and I liked the symbolism behind the wine and the idea of generations of family. I drank it with my family as part of our Christmas meal if memory serves. The wine was made from 77% Cabernet Sauvignon, 13% Merlot, 8% Petit Verdot, and 2% Cabernet Franc. It spent 21 months in new French oak. Despite its high alcohol level, I thought it was quite delicious and showed lovely fruit, spice and earthy notes on the nose and palate. I think Cabernet lovers would also like this wine as the other Bordeaux varieties give it pepper and spice but the essence of this wine is pure Napa Cabernet. 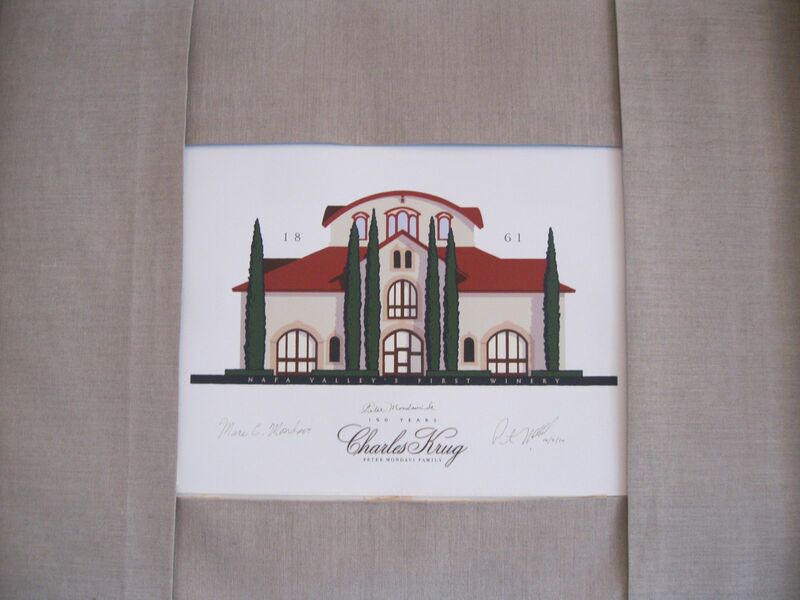 I wish Mr. Mondavi cent di questi giorni (Nov. 23) and marvel at his kindness, modesty, and life’s achievements.